On July 22, 1946, the City of Syracuse took over the Mattydale Bomber Base on an interim lease. 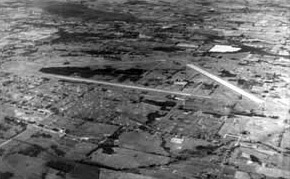 At the end of the city’s centennial year, in 1948, the base was dedicated as a commercial airfield. 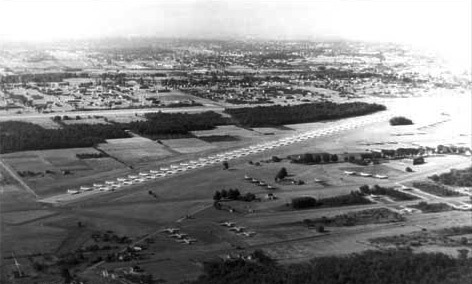 The Clarence E. Hancock Airport opened to the public on September 17, 1949. The terminal was a renovated Army Air Corps machine shop, located on Malden Road in Mattydale, which is currently the site of Signature Flight Support, a fixed base operator at Syracuse Hancock International Airport.